Google AdWords has grown to be one of the key channels of businesses to market their products and services in the digital age. The sophisticated analytics and conversion tracking tools, as well as it’s considerable reach and targeting options, make it a must have marketing expense for your business. However, learning the ropes of AdWords can be daunting if you are starting from scratch. Today we’re going to break down some of the barriers and introduce you to Ad Words in a fun and simple way. So first, let’s uncover what’s under the hood of this particular marketing vehicle; let’s talk about how Google AdWords actually works! Google AdWords is a bidding system. You select keywords you would like your site to show up for on the Google Search Network and depending on your bid and the relevancy of your content you will be prioritised in their sponsored ad sections displayed below. Google AdWords is based around two elements: keyword bidding and Cost-Per-Click (CPC) bidding. Advertisers choose keywords relevant to their product or service, and then set the maximum bid they are willing to pay for each time their ad is clicked. The idea is to spend your advertising on targeted ads linking back to a landing page on your site that is setup to convert visitors into purchasing your products or services or generate leads or some other action. An example of this could be selling insurance packages. Someone might type in ‘Commercial Fishing Insurance’. As you have bid a certain amount on this keyword you end up winning the bid over other sites with less relevant sites who might have paid less. Your ad directly draws the attention of the user with it’s catchy Call-To-Action (CTA) which says ‘Smell Something Fishy? Secure Yourself With Commercial Fishing Insurance Today!’. NOTE: Please do not write anything this corny, it will probably backfire; then again, prove us wrong – AdWords is all about creativity and inventive copy! Once they click your ad – or click one of the link extensions which might allow them make a phone call or go to a sub-page on your site – they are directed to your landing page. Your landing page is beautifully designed and has an urgent relevant message that instantly convinces them into getting a free quote. They click the button and you have just converted one visitor into a lead – congratulations! And, that is AdWords…. just kidding, but it’s a start. If you’ve ever opened the backend of an AdWords account and fiddled around with the many features you may be curious as to what all those strange keyword finder tool features and tracking options are. Sadly there is not enough time to get into the specifics. You will find that there are some terrific resources on Udemy.com or on Marketing blogs such as The Lead Agency that explain these topics in greater detail. Instead we will just outline the structure of an AdWords account, this way you have a bit of a map to explore. Here you will find all your billing, account, preferences and notification details. This is the hub of your operations, but not where the actual bidding is done. This is where the bulk of your time is spent on AdWords, setting up the budget, daily spend and making sure your campaigns are active and tinkering with settings such as location and language targeting and ad copy to get the best results. Ad Groups are pre-bundled keywords that tightly relate to each other. Instead spending hours compiling lists of hundreds of keywords. Google chooses the best keywords for your business and objective. Keywords are the currency of AdWords. Choosing the right keywords is most of the job. If your keywords are relevant you will be rewarded with a higher conversion rate. Exact Match – They have the narrowest reach, as your keyword will only be pulled up if it is an exact match. This denoted by square brackets (). Phrase Match – This is slighter wider in reach, for when someone has searched your keywords but not necessarily in the exact order. This is denoted by question marks (“”). Modified Broad Match – This is used when a user’s search query contains your keywords in any order. They are indicated by plus signs (+keyword). Broad Match – This has the widest reach, as your keywords will appear whenever a similar keyword is searched. This is denoted by using no symbols. Negative Match – Don’t want accidental irrelevant searches? Use negative keywords to better target your audience and the customers you are after. Ads are what people see when they type in a search. They are comprised of a headline, two description lines, a display URL and a destination URL. There are strict advertising guidelines for AdWords copy. This is where AdWords becomes more art than science. Coming up with inventive Ad copy is what drives sales – along with rigorous analytics and monitoring. Let’s conclude. 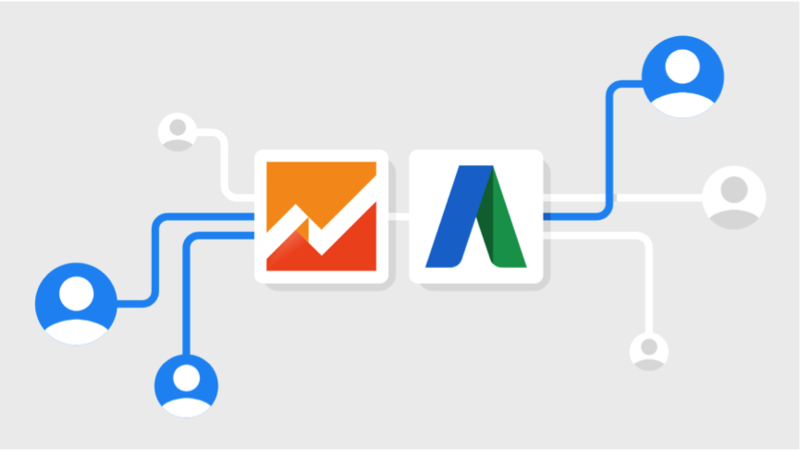 You only learn AdWords by doing – so get involved and start experimenting today! Use as many features as possible, and where possible A/B test and experiment with new ad copy. Fail big today, earn big tomorrow! For more information about AdWords read The Lead Agency’s B2B marketing blog here. If you are looking for an Australian B2B marketing team to help your business contact The Lead Agency today.